Who you lookin’ at? 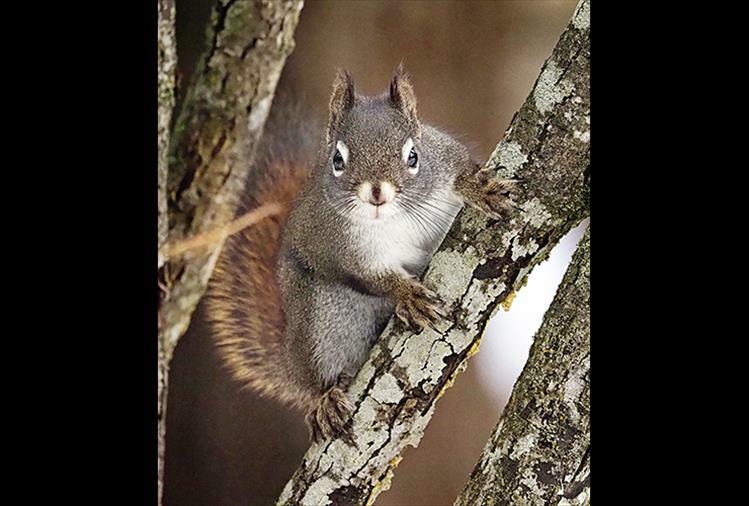 - This intense looking fellow is an American red squirrel, otherwise known a a pine squirrel or chicaree. Only 22 percent of red squirrels survive to one year, but if they do, they can expect to live for just over two years. Maximum life expectancy is eight years.